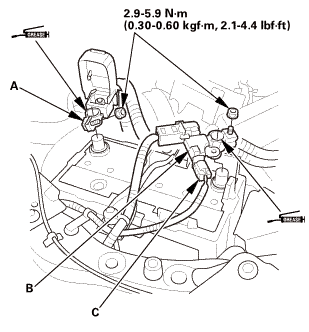 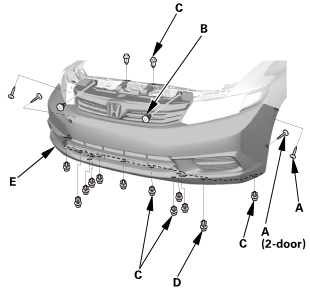 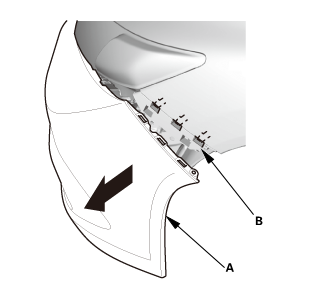 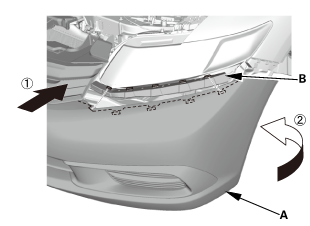 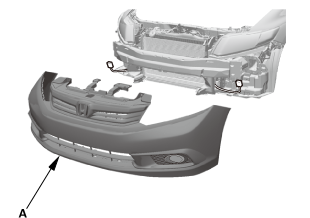 Remove the screws (A), the bolts (B), and the clips (C, D) securing the front bumper (E). 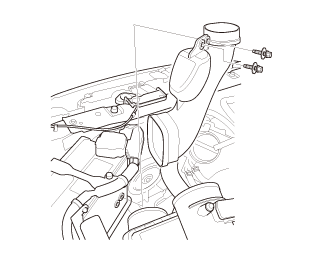 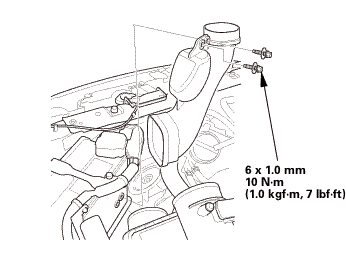 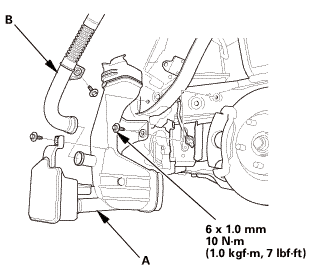 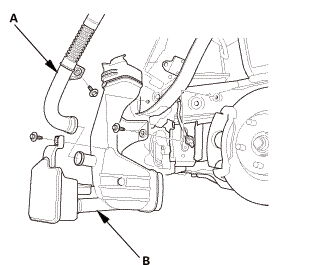 Disconnect the air intake duct tube (A). 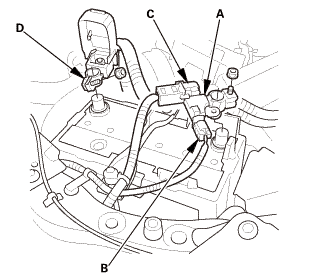 Remove the intake air resonator (B). 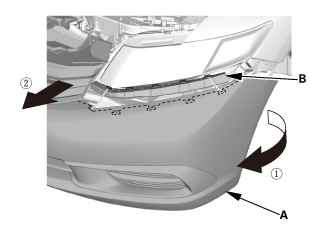 Install the intake air resonator (A). 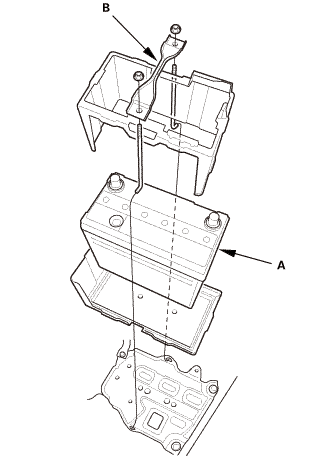 Connect the air intake duct tube (B). 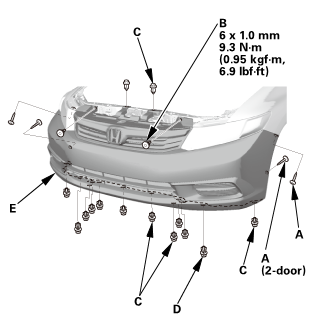 Install the screws (A), the bolts (B), and the clips (C, D) securing the front bumper (E).